Chocolate Flavour Sandwich Biscuits with a Mint Flavour Filling (29 %). 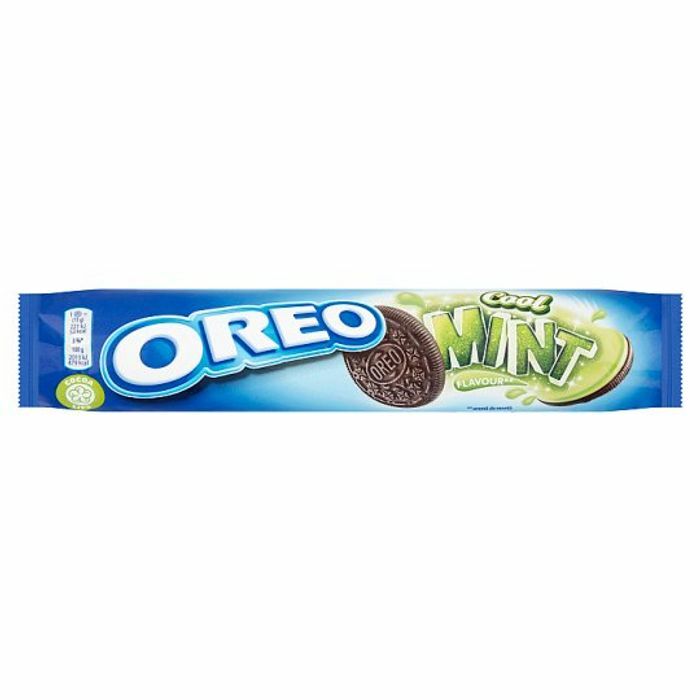 The mint Oreo is a tasty sandwich biscuit filled with a creamy mint flavour centre. Yum! Wow, they are so cool. I have never tried this flavour of Oreo's before, definitely worth giving it a try. Thank you so much!